Where: Sarasota County Commission, 1660 Ringling Blvd. 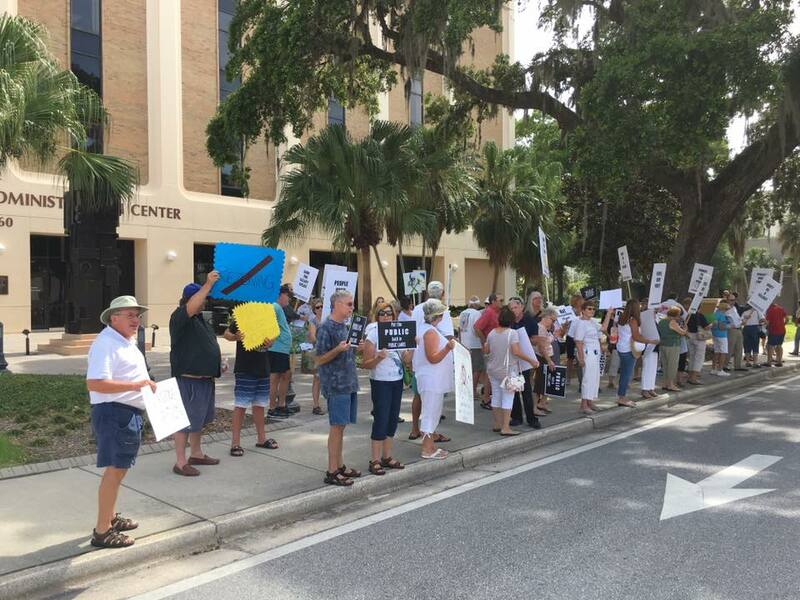 The Fresh Start Initiative will present the first-round results of its civic experiment in community-based visioning for public lands to the Board of Sarasota County Commissioners on Wednesday, April 25. The community Initiative began November 28, 2017, after the Board agreed to hold off on surplus-land decisions for two public parcels near the Celery Fields for six months while the citizen group consulted the community’s wishes for the parcels. Fresh Start cites the support of 50 HOAs surrounding the Celery Fields for the effort. The results offer a sense of the community’s vision that could transform the two parcels, which total 23 acres, by developing them in ways that would both enhance the natural treasure already there and serve the people of the community, according to members of the group’s Executive Council. The parcels are at the intersection of Apex Road and Palmer Boulevard. Parcel #1 on the southeastern corner is 12.7 acres and abuts the western edge of the Celery Fields wetlands. Two bird walks there draw tourists from across the country eager to see some of the rarer of more than 225 species known to visit there. Parcel #2 on the southwestern corner has 10.7 acres. The parcels have sat vacant for 20 years. Fresh Start’s process required time to organize and implement. "Over the past five months, we have designed, organized and implemented a three-step process,” said Fresh Start council member Marguerite Malone. “We first elicited interest, ideas, and then proposals from our communities. Secondly, we reviewed those proposals through a strong team of local experts in planning, architecture, environment and neighborhood organization. Thirdly, we established delegates from our community who attended a roundtable meeting to discuss, listen, modify, and then vote for the best proposals." The proposals were vetted both by the community and the Advisory Panel for their congruence with four leading criteria: Feasibility, Economic Viability, Compatibility with the Area, and Utility to Neighbors. Utilizing a weighted vote approach, the roundtable participants selected four proposals -- two for each parcel. The proposals combine a variety of public uses with private opportunities to offer goods or services on land leased from the county, said Fresh Start member and Meadow Walk president Gary Walsh. Instead of selling the lands outright to private developers, they would remain in public hands, but provide annual revenue to the County via leases, tourist taxes, and employment. Over time that revenue could exceed what a one-time sale would bring in, he added. The group is scheduled to present details of the four proposals to the County shortly after 9 a.m., April 25. Fresh Start grew out of a community uproar over a developer's proposal last year to convert one of the parcels into an open-air demolition waste processing facility. More than 300 residents concerned about traffic, health, noise, environmental harm, property values and more turned out at the County Commission's August 23 public hearing on the petition, which lasted seven hours before the Commissioners voted the proposal down. The waste plant was a wake-up call, the group says. While the waste proposal failed, nothing prevents another developer from seeking to convert the same public parcel to heavy industrial use. “The Board didn’t use the opportunity to direct staff to review the underlying land use provisions for the area, which were put in place nearly 40 years ago -- before many of the residential communities and businesses -- before even the Celery Fields area itself -- existed,” said Fresh Start council member Carlos Correa, president of The Enclave, a residential community on Palmer Boulevard East. That concern prompted the formation of Fresh Start, which offered to research the area, gather community participation and input, and to come back with some conceptual plans within six months of the November 28, 2017 agreement with the Board. In addition to proposals for the two parcels, ideas came up along the way for enhancements to the common areas -- a roundabout, a bus loop, a footbridge, and more. The group says such features would unify the area and hopes the County will give them consideration. The group will present the four proposals selected at the Roundtable meeting to the Commissioners and invite them to take the next step: To authorize staff to work with community representatives on refining them. Fresh Start has been given 30 minutes for presentation and discussion beginning shortly after 9 a.m. on Wednesday, April 25. The public is welcome to attend the meeting, to be held in the Commission Chamber of the County Administration Building at 1660 Ringling Boulevard. Supporters of Fresh Start plan to wear green shirts or tops.